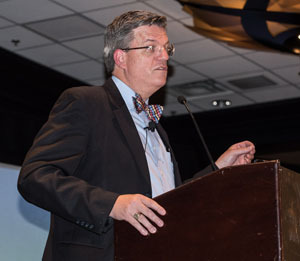 Comments by Allen Henderson from the opening session of the 2016 NATS National Conference in Chicago in July 2016. Sixty-five years ago in 1951, NATS held its very first independent national conference here in Chicago with 228 attendees. Still an organization in its infancy, NATS had just over 1,000 members and had recently issued and published a report entitled “Proposed Curriculum for Training Teachers of Singing in Universities and Schools of Music” which was printed and distributed to over 1200 institutions. While its leaders had big plans for its future little did they know that we would return to the great city of Chicago in 2016 with 7,000 members and a record conference attendance of over 1,300. The legacy of leadership and influence of your professional organization over the years influenced the creation of standards for the very first degrees created specifically to train the teacher of singing and led to the creation of the doctor of musical arts degree in voice and voice pedagogy. We returned to this topic this year in one of our pre-conference workshops to assess where we are and how we want to continue to influence the future preparation of the singer and the teacher of singing.